Prolonged bed rest and immobility contribute negatively to the physical function, pressure management and quality of life of the patient. Early mobilization in the earliest days of critical illness has been shown to improve long term outcomes for the patient, decrease repositioning needs, expedite discharge and reduce re-admissions. The Seating Matters Sorrento™ and Phoenix™ chairs have been designed to provide postural support, pressure management and assist with repostioning. Click here to read about Four Principles of Pressure Management. The tilt in space function allows for semi-sitting to be achieved. This refers to a position midway between bed rest and upright sitting. If the patient does not have adequate core strength to maintain an upright position in a standard chair, the Sorrento™ and Phoenix™ chairs are designed to improve their sitting balance and help in the rehabilitation process. To expedite your patients’ rehabilitation and recovery you should introduce seating at the earliest stage possible in their treatment. Patients can then be transferred from an Intensive Care Unit (ICU) to a High Dependency Unit (HDU) or Step Down Unit (SDU), this will drastically decrease the cost of this patient to your healthcare system. Bed rest results in 12% loss of muscle strength each week, intensifying to 50% loss after 3-5 weeks.3 Therefore, encouraging the patient to sit in a chair as early as possible into their treatment can be a key factor in order to preserve muscle strength. Early mobilization is the perfect aid to limiting any possible muscle mass breakdown for your patient. It is a tool that can be used to support the rehabilitation process and to help prevent muscle atrophy. Click here to read more about bed rest vs seating. When a patient is confined to a bed, their ability to do minor tasks is inhibited and can result in cognitive, psychological and physiological complications. In contrast, early mobilization using the correct chair that fully supports a patient's posture and meets their clinical needs can contribute to their overall health and wellbeing. 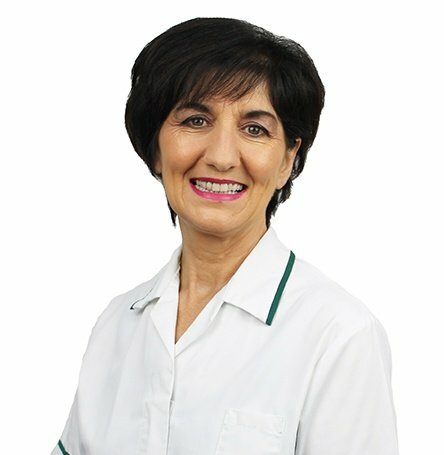 If the chair is accurately prescribed it can contribute to the prevention of the patient sliding or falling and limit manual handling for staff. As a result, the patient can hopefully restore their previous level of independence and ability to complete functional tasks such as reaching for a drink, feeding themselves or reading the newspaper. When a person is lying down, their ability to do even minor tasks is inhibited which can, understandably, lead to a decrease in motivation and have a dramatic impact on recovery. You can imagine the positive impact that all of the improvements generated by sitting out of bed, as mentioned above, can have on the patient's psychological wellbeing, their dignity and confidence. As a result, they will start to feel better mentally and be more motivated to interact with staff members, family and other patients. The impact on speed of recovery can be life changing. Quicker discharge from ICU or High Dependency Units to Step Down Units, reducing healthcare costs. Overall health and wellbeing is positively impacted. Increased functional ability and increased independence. Improved approach to pressure management, reducing risk of pressure injuries. Maintenance of muscle mass and strength. Families and caregivers happier to see their loved one/patient out of bed and sitting comfortably. Improved social interaction, communication, inclusion and increased motivation. 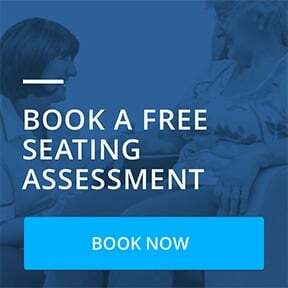 A thorough Seating Assessment should be carried out by an Occupational Therapist, Physiotherapist or qualified Seating Specialist to identify the clinical needs, chair function and design required for the person in need. This will ensure that the patient is seated in the correct chair as soon as possible. The impact of a specialist, individualized seating solution positively affects the patient's health and wellbeing. Thorough Seating Assessments & adjustable chairs can keep patients safe and secure, reducing need for time spent in bed, reducing pressure injuries, providing comfort and overall aiding a quicker recovery and a better quality of care and patient outcomes. 1. Tierney, M. (2015) The Clinician’s Seating Handbook. 4th Ed. Northern Ireland: Seating Matters. 2. Pham, B., Teague, L., Parslow, N. and Harris, C. (2013) Opinion: Should Ontario be more proactive in pressure ulcer prevention. [Online] Available from: http://healthydebate.ca/author/bpltnpch. [Accessed 7 October 2015]. 3. Jiricka, M.K. (2008) Activity tolerance and fatigue pathophysiology: concepts of altered health states. Essentials of Pathophysiology: Concepts of Altered Health States. 4. Lyder, C.H. (2002) Pressure ulcer prevention. Annual Review of Nursing Research, 20. p. 35-61. 5. Daly, O., Casey, J., Martin, S., Tierney, M. & McVey, O. (2013) The effectiveness of specialist seating provision for nursing home residents, Ulster University. 6. Rappleye, E. (2015) Average cost per inpatient day across 50 states. [Online] Available from: https://www.beckershospitalreview.com/finance/average-cost-per-inpatient-day-across-50-states.html [Accessed 7th November 2017].